DETROIT -- Fiat Chrysler is recalling 4.8 million vehicles in the U.S. because in rare circumstances, drivers may not be able to turn off the cruise control. The company is warning owners not to use cruise control until the cars, SUVs and trucks can be fixed with a software update. See Fiat Chrysler's full statement on the recall here. 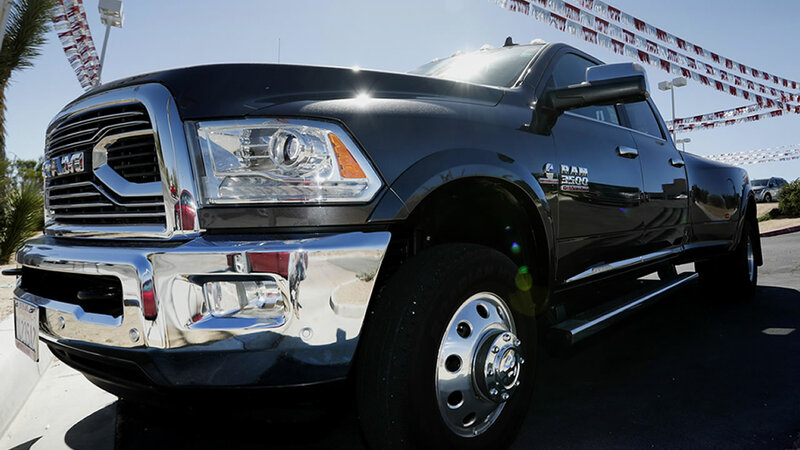 The recall includes 15 Jeep, Dodge, Chrysler and Ram models from six model years. Models in other countries are also affected. Fiat Chrysler says the condition can occur if the cruise control accelerates at the same time an electrical short-circuit happens. But the brakes are designed to overpower the engine and the vehicles could still be stopped. Shifting into park would cancel the cruise. The problem was found in testing. FCA says it has no reports of crashes or injuries.